4k00:10Close up of the good looking Caucasian old woman tourist taking a photos on the photocamera in the city center and smiling. Portrait. Outside. 4k00:06Portrait of the gray haired Caucasian senior woman with long hair standing in front of the camera at the street and taking photo on the photocamera. Close up. Outdoor. 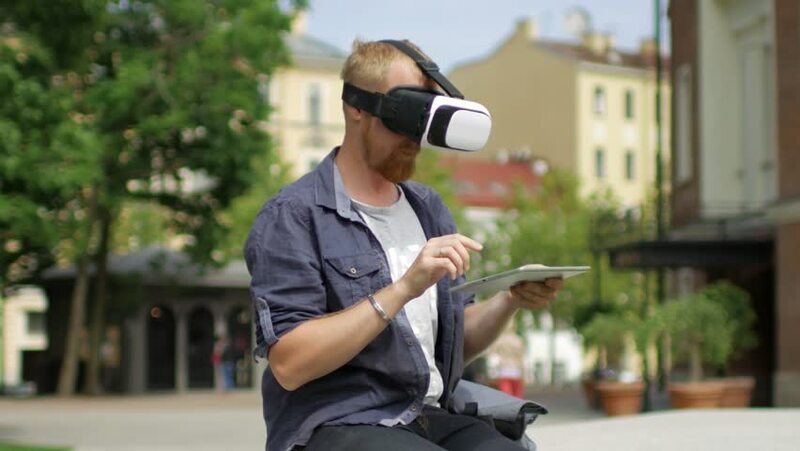 hd00:23Man wearing virtual reality goggles outside in a park.